Golf simply does not get better than playing this gem of a course situated in the picturesque Yorkshire Dales. Otley is an easy-walking parkland course in an enviable setting, nestling between the high ground of the Chevin and the River Wharfe. Measuring 6237 yards (white tees) Otley offers a course of the highest quality. The opening holes present a real challenge but once into your round life would become easier were it not for the two streams which meander through the course. The Gill Beck crosses in front of the greens on the par five 6th and 8th holes and in front of the tee on the 7th. The other stream, the Mickle Ing Beck, then runs parallel to the 10th, 11th and 14th holes and crosses in front of the par three 15th green. These streams are a real feature of the Otley course and together with the numerous tree plantations they put a high premium on accuracy over length. Over many years the club has made substantial investment in improvements to the greens, the bunkers and course drainage to provide improved playability throughout the year and our Greens Team continues to strive to make year on year improvements to the course. Our clubhouse is centrally positioned making Otley ideal for playing 9, 18 or 27 holes. 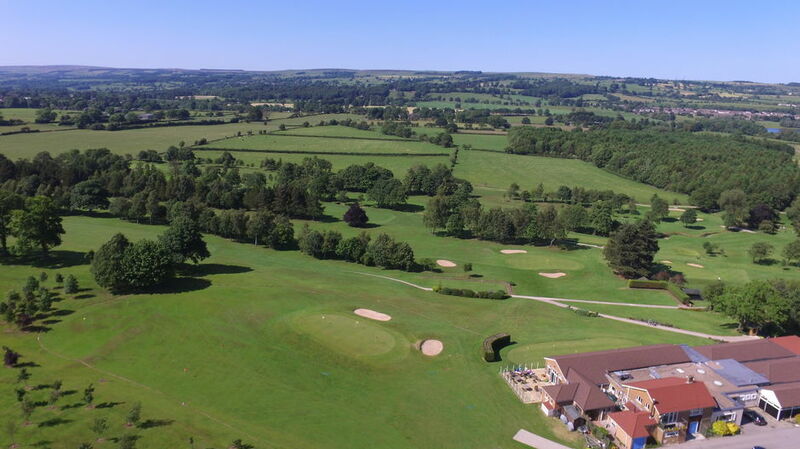 Whichever option you take you will enjoy the stunning panoramic vistas of the Wharfe Valley whilst you play or whilst you relax after your round. Members and visitors alike can take advantage of the long and short game practice areas and practice putting green, all of which adjoin the clubhouse and car park.